N 26° 16' 48" and E 50° 38' 5"
Samāhīj in Muharraq Governorate is a town in Bahrain a little north-east of Manama, the country's capital city. Current time in Samāhīj is now 08:12 PM (Sunday). The local timezone is named Asia / Bahrain with an UTC offset of 3 hours. We know of 8 airports near Samāhīj, of which 3 are larger airports. The closest airport in Bahrain is Bahrain International Airport in a distance of 1 mi (or 1 km), South. Besides the airports, there are other travel options available (check left side). There are several Unesco world heritage sites nearby. The closest heritage site in Bahrain is Pearling, Testimony of an Island Economy in a distance of 3 mi (or 5 km), South-West. Looking for a place to stay? we compiled a list of available hotels close to the map centre further down the page. When in this area, you might want to pay a visit to some of the following locations: Manama, Dammam, Madinat ash Shamal, Al Khawr and Az Za`ayin. To further explore this place, just scroll down and browse the available info. Let's start with some photos from the area. 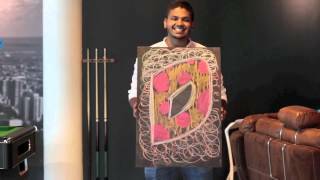 Discover Bahrain Other travels in pictures and movies @ http://www.ddpn.net. a Vaction with Friends on Amwaj Island - Bahrain - GCC - Gulf. 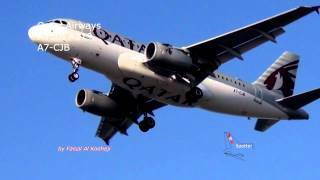 Bahrain International Airport is an international airport located in Muharraq, an island on the northern tip of Bahrain, about 7 km northeast of the capital Manama. It is the primary hub for Gulf Air and was the hub for the now defunct Bahrain Air. A BD113m ($300 million) expansion and refurbishment program was launched in the third quarter of 2006 which will see the creation of a new multi-storey car park and retail complex adjacent to the main terminal building. Located at 26.2708, 50.6336 (Lat. / Lng. ), about 1 miles away. The Capital Governorate is one of the five governorates of Bahrain. The governorate covers Manama, the capital of Bahrain. Located at 26.2361, 50.5831 (Lat. / Lng. ), about 4 miles away. 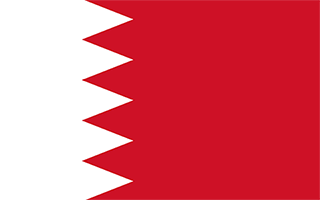 The Muharraq Governorate is one of the five governorates of Bahrain. It is now co-extensive with the municipality of Al Muharraq and with Muharraq Island together with outlying islets. It includes the former municipality of Al Hadd at the southern end of that island. The centre of Muharraq contains some of the oldest residential properties in the Kingdom, many of which have been rented out by their Bahraini owners to expatriate workers. Located at 26.25, 50.6167 (Lat. / Lng. ), about 2 miles away. Muharraq is Bahrain's third largest city and served as its capital until 1923 when it was replaced by Manama. The city is located on Muharraq Island and has long been a centre of religiosity. Bahrain International Airport is also located on the island. Adjacent to Muharraq are the man-made Amwaj Islands, known for their large buildings, hotels and beaches. Muharraq is home to Muharraq Club, which is Bahrain's most successful football club. Muharraq airfield is a military base located adjacent to Bahrain International Airport. It is run by the United States Navy and usually ships supplies in and out of the airport with many of them from other countries as well. 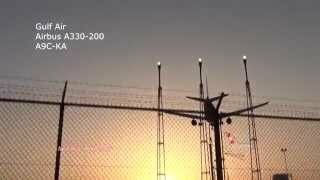 The U.S. Navy, the U.S. Marines, the Bahrain Police, and others run the security at the airfield. Security at this place is considered one of the best in the world. Located at 26.277, 50.615 (Lat. / Lng. ), about 1 miles away. Located at 26.2415, 50.5975 (Lat. / Lng. ), about 4 miles away. 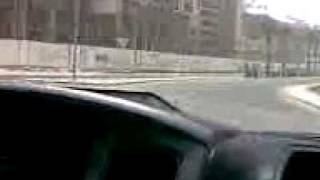 On 23 August 2000, Gulf Air Flight 072 from Cairo, on approach to Bahrain International Airport crashed into the shallow waters 5 kilometers from the airport. Located at 26.2889, 50.6333 (Lat. / Lng. ), about 1 miles away. The Bahrain Stock Exchange (BSE) was established in 1987 by Amiri Decree No. (4) and officially commenced operations on June 17, 1989, with 29 listed companies. Currently, there are 50 companies listed on the exchange. The BSE operates as an autonomous institution supervised by an independent Board of Directors, chaired by the Governor of the Central Bank of Bahrain. Located at 26.2375, 50.5733 (Lat. / Lng. ), about 5 miles away. 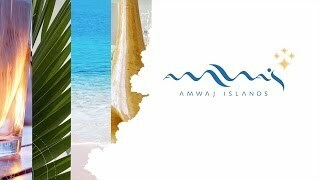 Amwaj Islands are a group of man-made islands located in the northeast of Bahrain, near the coast of Muharraq island. It covers roughly 2 790 000 m² (30 million square feet). Amwaj Islands are a pioneering project in Bahrain, the first to offer 100% freehold land ownership to expatriates living in the Kingdom of Bahrain. It also increases the supply of waterfront property which is in low supply in this small island nation. Located at 26.2911, 50.6653 (Lat. / Lng. ), about 2 miles away. 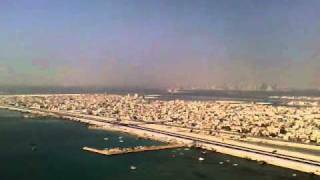 Muharraq Island is the third largest island in the archipelago of Bahrain after Bahrain Island and Hawar Island. It is named after Muharraq City, the former capital of Bahrain. There are several towns and villages located on the Island, including: Al Muharraq Al Dair Arad Busaiteen Hidd Galali Halat Bu Maher Halat Nuaim (connected by road) Halat Seltah (connected by road) Samaheej Bahrain International Airport and the Muharraq Airfield are also located on the island. Located at 26.2669, 50.6384 (Lat. / Lng. ), about 1 miles away. Arad Fort is a 15th century fort in Arad, Bahrain. Arad Fort was built in the typical style of Islamic forts during the 15th century A.D. before the Portuguese invasion of Bahrain in 1622 A.D. This fort is one of the compact defensive forts in Bahrain. In its present location, it overlooks various sea passages of Muharraq's shallow seashores. Located at 26.2525, 50.6269 (Lat. / Lng. ), about 2 miles away. Beit Al Qur'an is a multi-purpose complex dedicated to the Islamic arts and is located in Hoora, Bahrain. Established in 1990, the complex is most famous for its Islamic museum, which has been acknowledged as being one of the most renowned Islamic museums in the world. Located at 26.2397, 50.5917 (Lat. / Lng. ), about 4 miles away. Located at 26.2189, 50.5981 (Lat. / Lng. ), about 5 miles away. Al Muharraq Stadium is a multi-use stadium situated in Arad, Bahrain. It is currently used mostly for football matches and is the home ground of Muharraq Club. The stadium holds 20,000 people. The stadium underwent maintenance works for a month, during September 2012. Located at 26.2578, 50.6278 (Lat. / Lng. ), about 2 miles away. Busaiteen is a small town in northern Bahrain. It is located on Muharraq Island, just north of Muharraq City. Its native inhabitants are Bahrani Shia. Since the 18th century, Busaiteen has been inhabited by Sunni Arab immigrants, where they form the majority of the town's population today. On January 1, 2012, a woman native to the town called Fakhriyya Jassim inhaled tear gas fired by security forces in Jid Ali. She died 2 days later on January 3. Located at 26.272, 50.609 (Lat. / Lng. ), about 2 miles away. Galali is a small area in the Kingdom of Bahrain, located on Muharraq Island, north of Muharraq City. Galali used to be the farthest north point of Bahrain before the development of the manmade artificial islands of Amwaj Islands. Galali in Arabic means a group of cliffs, a high place, this is when people first found out this area of Bahrain they know it by its small cliffs and referred to it by that name. Around 2000 people used to live in Galali (1991 census). Located at 26.2667, 50.65 (Lat. / Lng. ), about 1 miles away. Located at 26.2395, 50.6353 (Lat. / Lng. ), about 3 miles away. 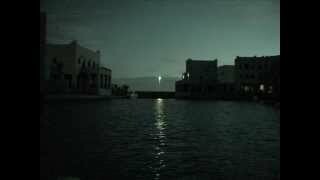 Samaheej is a village in Bahrain on the northern coast of Muharraq Island. Al Dair village lies to its northwest, while Galali lies to its southeast. It is north of Bahrain International Airport. Samaheej was the seat of Nestorian Christian bishops and a centre for Christians in the Persian Gulf. Before the discovery of oil in Bahrain, most of the inhabitants were involved in farming, especially date palms, and fishing. The inhabitants of Samaheej are Baharna Shias. Located at 26.283, 50.6335 (Lat. / Lng. ), about 0 miles away. The Ministry of Foreign Affairs is the Bahraini government ministry which oversees the international relations of Bahrain. In April 2012, King Hamad appointed Ghanim Al Buainain, leader of the Salafist Al Asalah party, as the new Minister of State for Foreign Affairs. Located at 26.2378, 50.5784 (Lat. / Lng. ), about 5 miles away. Shaikh Isa Causeway is a causeway in the Kingdom of Bahrain connecting Busaiteen to the Diplomatic Area, near the Seef area. Opened to the public in January 1997, it was constructed to relieve the congestion of the previous bridge connecting Muharraq Island to the mainland Bahrain Island. It can be recognized by its triangular white columns, meant to symbolise sails. It is named after the deceased emir of Bahrain, Isa bin Salman al-Khalifa. Located at 26.2535, 50.5934 (Lat. / Lng. ), about 3 miles away. Al Dair is a village in Bahrain on the northern coast of Muharraq Island. It lies north of the Bahrain International Airport, and north west of Samaheej village. Before the discovery of oil in Bahrain, most of the inhabitants were involved in farming, especially date palms, and fishing. The inhabitants of Al Dair are Baharna Shias. The name Al Dair is Arabic for "the monastery," indicating the Christian past of Muharraq Island. Located at 26.285, 50.624 (Lat. / Lng. ), about 1 miles away. Halat Seltah is a Bahraini island. It is located off the coast of Muharraq island, near the town of Hidd, and neighbour the island of Halat Nuaim. It has traditionally been inhabited by the Al Sulaiti tribe after whom the island is named. The island is today connected to Muharraq Island and Halat Nuaim by a road. Located at 26.243, 50.638 (Lat. / Lng. ), about 3 miles away. 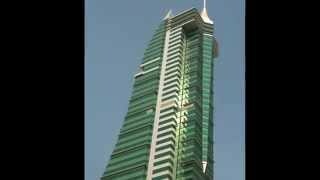 Al Zamil Tower is a skyscraper in Fereej Al Fadhel, Manama, Bahrain, located opposite the Bahrain Sheraton, Manama and just across from Government House. Built in 2005, the 21-storey tower covers 16,893 square metres of space and has parking facilities for 154 cars. It won the Aga Khan Award for Architecture in 2007. Located at 26.2367, 50.5808 (Lat. / Lng. ), about 4 miles away. The Bahrain pearling trail is a 3.5 km trail located in the island of Muharraq, in Bahrain, that was used by pearl divers during much of Bahrain's history until the early 1930s, when the pearl market in Bahrain crashed as a result of the introduction of cultured pearls from Japan. Pearling in Bahrain has occurred since 2000 BC. Located at 26.25, 50.61 (Lat. / Lng. ), about 3 miles away. These are some bigger and more relevant cities in the wider vivinity of Samāhīj.